> The last weeks I have been on the road a lot, visiting many different places. Everywhere I have been I have been in contact with members in the body of Christ…everone with different lifes,histories but one thing in common: a passion and love for Jesus. In Wales I learned to know a guy that used to work and still sometimes works as a bodyguard for celebrities like : Rod Stewart and others. Today he is on fire for Jesus and do what he can to tell this World the good news. Today just before I took the train from Malmo I met an old friend from Uppsala on the street in Malmo. We had a quick cup of coffee together and I was pleased to hear and notice that the fire is still there in his life. 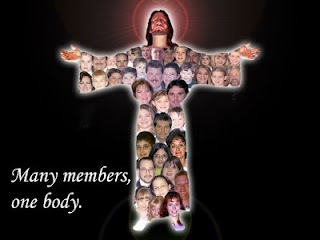 I am excited about the Body of Christ …not only my local church…the body is so much larger….and it is expanding day by day!!! I have seen many people saved those weeks and allover the world new people are entering in to the Kingdom of God …because someone like you and me tells them about Jesus. Keep up the good work! !